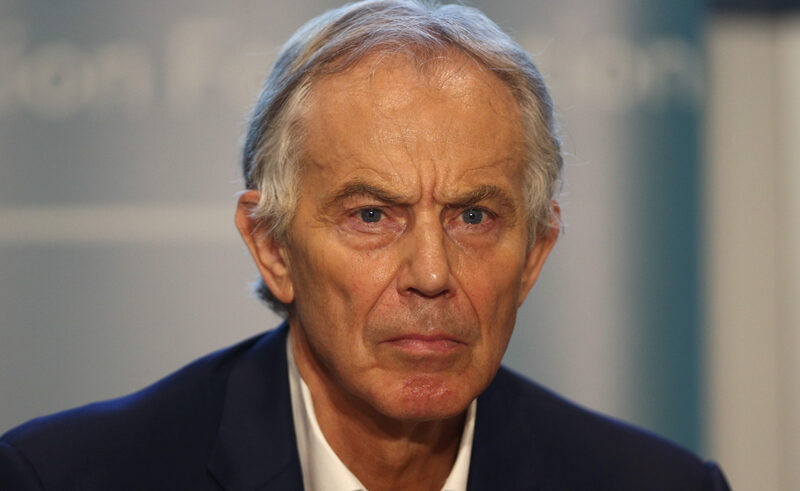 THE Brexit negotiations are in a “mess” and a delay to Britain’s withdrawal from the EU is almost “inevitable”, Tony Blair has said. The former prime minister said MPs were right to reject Theresa May’s deal in the Commons on Tuesday and that a second referendum now offered the best way forward for the country. “This is a complete mess now, given everything that has happened, given the state of our knowledge now, it is not unreasonable to ask people if they want to think again,” he told BBC Radio 4’s Today programme. Mr Blair criticised Jeremy Corbyn for refusing to meet the Prime Minister and said the Labour leader needed to make clear where his party now stood. “If, in a moment of national crisis, the Prime Minister asks the Leader of the Opposition to come and talk, of course he should,” he said. With Parliament apparently deadlocked over the way forward, Mr Blair said he believed the Government would have to seek an extension to the Article 50 withdrawal process. “I think that is inevitable now virtually whatever you do. If I was the government now, I would already be having discussions with Europe about the terms of an extension,” he said. He dismissed claims that Mrs May needed to maintain the option of a no-deal Brexit in order to retain leverage in the negotiations with Brussels, saying it was not a credible threat. “If you do no-deal you are going to do major damage to the British economy,” he said. He said Mrs May’s negotiating strategy had been flawed from the outset which was why MPs were right to vote down her deal. “What she tried to do was negotiate the unnegotiable, which is to have access to the market without abiding by the rules,” he said. He said Parliament was now facing a choice between a “hard” Brexit, which would be economically “painful”, or a “soft” Brexit, which would be “pointless” as the UK would still be tied to EU rules without any say over them. “At some point you are going to have to decide do you want a Norway-type solution, which is your soft Brexit, which leads to the charge that it is pointless, or do you want your Canada-style free trade agreement, in which case that’s going to be painful,” he said. “What she (Mrs May) has got to do now is take a step back, run the options through Parliament and Parliament has got to come to a decision.